This is probably the post my mum and sister have been waiting for, but don't hold your breath guys this isn't a tribute to Farrow and Ball paint!!!!! When you are living in rented accommodation or at your parents, you can often be quite limited in terms of wall colours and furnishings as you kinda just have to roll with what you've been presented with. 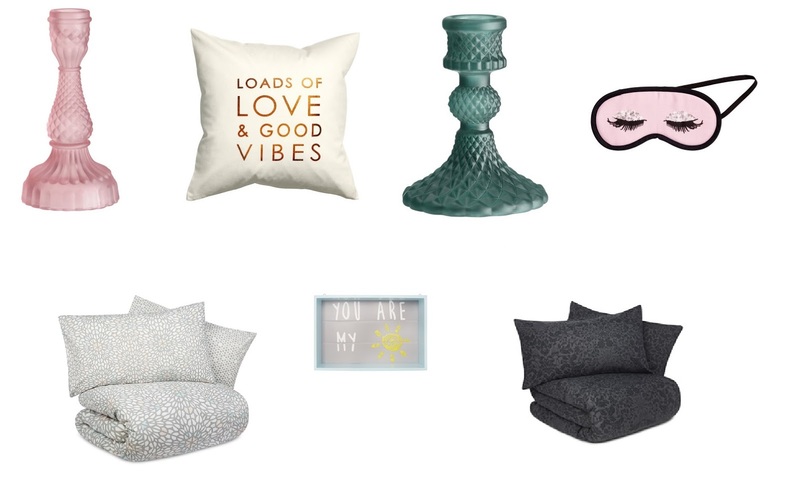 Here are my current faves for sprucing up a plain room without breaking the bank! There are SO many places you can get cheap bits and bobs from, so I see a white, plain bedroom or room as an opportunity for the accessories to do the talking! I pretty much buy all my bedding from Primark, it's cheap, cotton and at under £20 for a set you can't really go wrong. I personally have quite a neutral room as the walls and blinds are white, my bed frame is black and all the drawers and wardrobes are wood so I figured I would have to keep things quite neutral. The Primark Star Lamp is a recent addition to my room and I love it. At £10 it was a bargain and paired with some fairy lights gives a nice homely lighting to my room. I love the New York loft style décor and I think this fits in quite nicely! I also have my Huggle Up prints on the wall and each day they make me happy. A collection of my instagram pics they are a mix of family photos, scenes and phrases that I like to motivate me. So simple, yet so effective. They are £12.50 for 20 retros (basically polaroid style) or you can get 44 mini ones for £12.50 too. If you see those quotes in frames and think where on earth can I find one of those? Then look no further than Not On The High Street or Etsy. They can be a little expensive so I'd say if budget is something in mind then you can try and make it yourself! I have found wrapping paper I loved and just popped a square of it in a frame and it can be a super cheap way to get something up on the walls. That said, if you just CBA with the faff then I can highly recommend NOTHS or Etsy for some gorgeous prints and pictures! I love seeing people's bedrooms so tag me in your Instagram pics, I wanna see!! !